1930-38: Born in Ogden, Utah in 1930 (Raised on or around infamous 25th Street). 1938 – 1942: Moved to El Monte, California. My first experience of a segregated school (Mexicans and Asians). 1942 – 1945: Evacuated to Pomona Assembly Center Spring of 1942 and then shipped by troop train to Heart Mountain, Wyoming (Concentration Camp). 1945 – 1948: Ogden, Utah. 1949 to 1952: U.S. Army (stationed for 2 years and 7 months in Japan). 1953 to present: Salt Lake City, Utah. I lived briefly near the University of Utah and Holladay and since 1959 in the Avenues. 1945(spring): Dishwasher (Heart Mountain, Wyoming). 1946 (summer – 1 month): Farm laborer and cannery worker (Davis County). 1947 (summer) Section Hand, U.P. RR Ogden, Utah. 1946 to 1948: part-time maintenance work, Esther Hall, Ogden, Utah. 1948 to 1952: U.S. Army, 319th Military Intelligence Service (Interpreter, Translator and Interrogator) and, 441st Counterintelligence Corp (Special Agent), Tokyo, Japan. 1952 (summer): Washrack (removing paint from bombers), Hill Air Force Base, Utah. 1952 to 1956 (Winter break): U.S. Postal Service (Mail carrier), Ogden and Salt Lake City. 1954 (summer): Storm door and window assembler, Salt Lake City. 1955 (summer): Credit card company, clerk-typist, Salt Lake City. 1955 to 1956: Filing clerk for Drs. Business Bureau (part-time), Salt Lake City. 1956 to 1957: Correspondent, Allied Radio Co., Chicago, Illinois. 1960 to 1961: Caseworker, Salt Lake County Welfare Department, Salt Lake City. 1961 to 1963: Business Manager (part-time), Western Humanities Review, Department of English, University of Utah. 1963 to 1965: Referee, 3rd District Juvenile Court, State of Utah. 1965: Deputy County Attorney, Salt lake County Attorney’s Office. 1965 to 1969: Assistant Attorney General, State of Utah. 1970 to 1976: Private legal practice, firm of Madsen, Uno and Cummings, Salt Lake City. 1976 to 1978: Judge, Salt Lake City Court, Salt Lake City. 1978 to 1984: Judge, 5th Circuit Court, State of Utah, Salt Lake City. 1984 to 1990: Judge, 3rd District Court, State of Utah, Salt Lake City. 1993 to 2002: Senior Judge, 3rd District Court, State of Utah, Salt Lake City. 2003 to present: President, 5 Buck Pizza, Rose Park and Tooele. 1948 to 1949: Diploma, Military Intelligence Language School, Presidio of Monterey, California. 1950: Certificate, Special Agents School, Headquarters, 441st Counterintelligence Corps., Tokyo, Japan. 1952 to 1954: Associate of Science, Weber Junior College, Ogden, Utah. 1953 to 1955: Bachelor of Science, Political Science, University of Utah. 1955 to 1958: Juris Doctor, College of Law, University of Utah. 1958 to 1959: Secondary Teaching Certificate, College of Education, University of Utah. 1960 to 1963: Masters in Social Work, College of Social Work, University of Utah. 1995: Honorary Doctor of Humanities, Weber State University, Ogden, Utah. 1955 to1970: Salt Lake Judo Club. 1960 to1970: United States Judo Black Belt Federation. 1965 to1970: Instructor, Salt Lake Judo Club. 1970 to1972: President, Black Belt Association, Salt Lake Judo Club. 1961: President, Utah Citizens Organization for Civil Rights. 1959 to present: Utah State Bar Association. 1959 to 1977: American Bar Association. 1969 to 1976: American Trial Lawyers Association. 1963 to 1970: Board, American Civil Liberties Union, Utah Chapter. 1974 to 1979: National Advisory Committee, American Civil Liberties Union. 1964 to 1977: Academy of Certified Social Worker. 1972: President, Utah Conference on Social Welfare. 1964 to 1965: President, Salt Lake Chapter, Japanese American Citizens League (JACL). 1969 to 1970: Coordinator, Civil Rights Program, National JACL. 1970 to 1972: President, National JACL. 1972 to 1974: Legal Counsel, National JACL. 1968: Candidate for Utah State Senate, District 1. 1970: Chairman, Salt Lake County, Volunteers for Re-Election of Senator Frank E. Moss. 1971 to 1974: Board, National Center for Voluntary Action, Washington, D.C.
1965 to 1974: Board, Friends of the Salt Lake City Library. 1971 to 1974: Legal Counsel, Spanish Speaking Organization for Community, Integrity and Opportunity (SOCIO). 1972 to 1973: Salt Lake County Government Study Commission. 1973 to 1976: Board member and secretary, Salt Lake City Public Library. 1974 to 1975: Chairman, Utah State Advisory Committee, United State Commission on Civil Rights. 1977 to 1980: Board of Directors, Alumni Association, University of Utah. 1982 to 1985: Board, Executive Committee and Treasurer, Utah Mental Health Association. 1986: President, Board of Governors, Project Reality. 1991 to 1995: Advisory Board, College of Social and Behavioral Science, University of Utah. 1991: President (Co-founder), Utah Minority Bar Association. 1991 to 1995: Board, Utah Martin Luther King, Jr. Human Rights Commission, State of Utah. 1993 to 1995: Chairman, Executive Board, Asian Association of Utah. 1994 to 2000: Board, Friends of KUED. 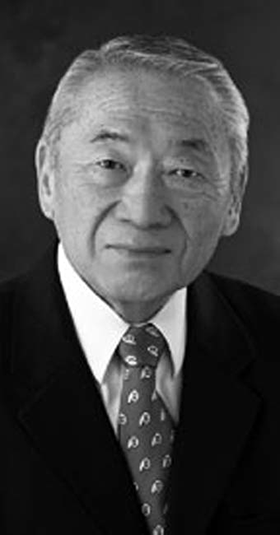 1995 to 1996: Chair, Utah Japanese American Centennial Committee. 1997 to 2007: Diversity Advisory Board, University of Utah Health Sciences Center. 1998 to present: National Advisory Board, Weber State University. 2001 to 2007: Alliance for Unity. 2001 to 2007: Board, Center for Documentary Arts. 2002 to 2005: Emeritus Board, University of Utah Alumni Association. 2003 to present: President, Japanese Community Preservation Committee, Salt Lake City. 2004 to present: Trustee and President for 2009, Salt Lake City Mosquito Abatement District. 2005 to present: Honorary Chair (Co-founder), Utah Asian Chamber of Commerce. 1969: Nisei of the Biennium, Intermountain District Council, JACL. 1970: Albert Fritz Civil Rights Worker of the Year Award, Utah Chapter, NAACP. 1974: Humanitarian Award, WIMBO (White, Indian, Mexican, Black and Oriental), Hill Air Force Base, Utah. 1974: Gold Medallion, Japanese American of the Biennium, National JACL. 1979: Honorary Life Membership, Utah State Conference on Human Services. 1990: Utah District Court Judges Association, Service Award. 1991: Golden Phoenix Award, Asian Association of Utah. 1993: Recognition, National Asian Pacific American Bar Association. 1994: Honorary Doctor of Humanities Degree, Weber State University. 1994 and 95: Certificate of Appreciation, Council on Aging, Salt Lake County Aging Services. 1996: “Once in a Hundred Years Award,” in recognition of significant contributions to the community, Salt Lake County Centennial Committee, Utah Centennial 1896-1996. 1997: Certificate of Appreciation, Oral History Institute (now Center for Documentary Arts), for service from 1982-1995. 1998: Honoree, Utah Minority Bar Association. 1998: Award, Advancement of minorities in the Law, Utah State Bar (Annual award given in my name). 2000: Award, for service as President 1999 to 2000, Board of Senior Judges. 2000 and 2001: Certificate of Appreciation, Service Core of Retired Executives, Salt Lake Chapter. 2002: Lifetime Achievement Award, Association of Asian American Studies. 2002: Certificate of Appreciation for service as a Senior Judge from July 1993 to January 2002, Utah Judicial Council. 2004: Five Year Service Award, Service Corps of Retired Executives Association, U.S. Small Business Administration. 2005: Spirit of Excellence Award, The American Bar Association, Commission on Racial and Ethnic Diversity in the Profession. 2005: Martin Luther King, Jr. Memorial Award, Salt Lake Branch, NAACP. 2006: Merit of Honor, Emeritus Alumni Association, University of Utah. 2008: Martin Luther King, Jr. Drum Major Award, Governor’s Martin Luther King, Jr. Human Rights Commission. 2008: Lifetime Achievement Award, Utah Asian Chamber of Commerce. 2008: Special Presidents Award, National JACL Convention, Japanese American Citizens League.